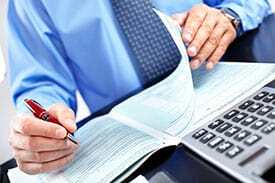 All components of Accounting Operations are also offered 100% online. Students will receive a broad foundation of knowledge and skills expanding the traditional role of the bookkeeper including double-entry accounting, preparation of financial statements and payroll processing. Students will also learn accounting-specific software including Excel, QuickBooks, and Microsoft Office. After successfully completing this program, the student will be able to perform basic office activities, data processing activities, and manual and computerized accounting activities using QuickBooks, Excel, and various other software packages. To get started in the Accounting Operations program, Sign Up today for a program orientation! Advisor; Brooke.Lehmejian@browardschools.com today! Entry level wages are about $12/hour**. Actual wages vary according to education, experience and certifications.